Dyasha Smith, 21, choked to death on a muffin in her school at 184 Baltic St.
COBBLE HILL — The family of a special needs student who choked to death in her Brooklyn school Tuesday afternoon hired the lawyer representing the family of Avonte Oquendo in a wrongful death suit against the city, DNAinfo New York has learned. Lawyer David Perecman said the family of Dyasha Phelps Smith, 21, an autistic student who choked to death on a muffin in her Cobble Hill school on Tuesday, will meet with him Friday to decide if they will file suit against the city. He said he is still gathering the facts of the case. "What I hear is that the paraprofessional who is supposed to be with her all the time left her," he said. "It's hard to understand how this could happen without something being amiss." 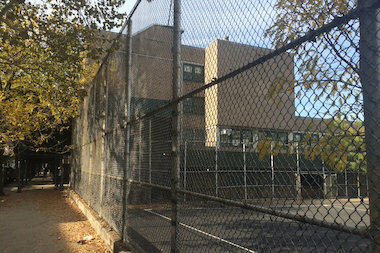 Dyasha Phelps Smith attended Star Academy, according to the New York Daily News, a special program in the School for International Studies at 184 Baltic St.
School staff knew Phelps Smith's food needed to be cut up or she would put too much in her mouth at once, her 70-year-old mother, Catherine Smith, told the New York Times. Smith wants an autopsy done on her daughter, according to the News. Perecman said he has not yet met with the family, only spoken with them on the phone, so he could not yet confirm if they will sue the city. "I would imagine that's why they're calling me," he said. "I haven't brought them into the office yet." Perecman plans to meet with the family on Friday and hold a press conference Friday evening at 5 p.m. The lawyer represents the Oquendo family in a pending suit against the city after their 14-year-old son went missing from his Long Island City school last year and was later found dead. Perecman worked with the family of another special needs student in September. Nashaly Perez Rodriguez, 15, slipped away from her Brooklyn school, much like Oquendo did. But Rodriguez was found at a friend's house three days later. "This strikes me as human error," Mayor Bill de Blasio said after Rodriguez was found, in answer to questions about how the girl could leave school unnoticed. "This strikes me as people not doing their jobs." A law was passed after Oquendo's death mandating that all city schools be equipped with door alarms. Perecman said he was contacted by Phelps Smith's family Thursday morning.